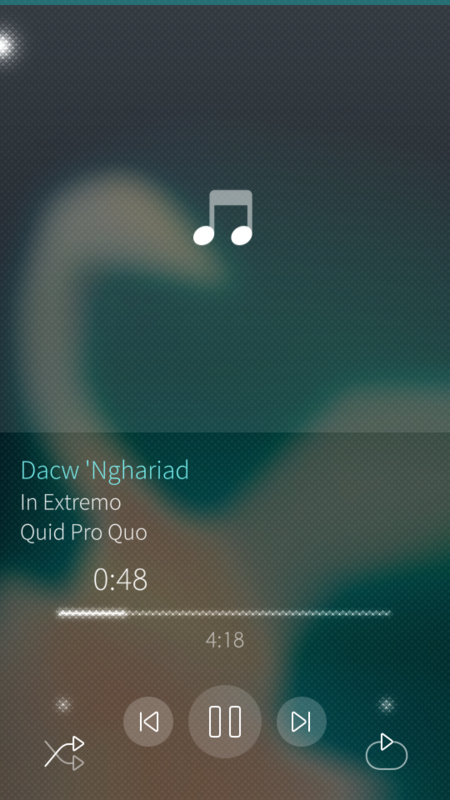 Simple music player for Sailfish OS. I have question, can someone add gmusic api https://github.com/simon-weber/gmusicapi that we can see and play songs from Google Music? Am I the only one, who has the back rewind button not functioning when the shuffle is on? I only miss 2 things. Would it be possible to integrate these? 1) mpris_proxy: To control the music via headset or the car. Currently I am opening the terminal app to start mpris_proxy. Would be nice if the app would be included. According to your description, Mpris should already be there, but somehow that does not work for me. Of course, I'll test that again. 2) Would it be possible to integrate a download button for selected music files and folders? So that the folder or music file is copied to the music folder under Nemo. With the option to download it into the internal memory or SD card. As I said, I get my music via my home server. Maybe you can solve this so that you can mark the mounted folder as a network folder to display this download function/buttons. I'm back with more knowledge. So I make some research and I believe now that reason for crash is corrupted music file. I also finally found equeim's suggested file. I realized that this .conf file is hidden file, so I enabled one setting in file manager and then I found the .conf file. Sorry that I was some kind lazy to research some things. Okay I give some more details about my situation. I tried some older versions of unplayer and same crash always. After that I added only my .ogg files to unplayer tracker (instead of my huge flac collection). And then no crash countered. Then I put one music album in folder and trying unplayer again to update my library and again works. So it must be corrupted file that cause crash. I could also watch some logs and search something fatal, just for fun. 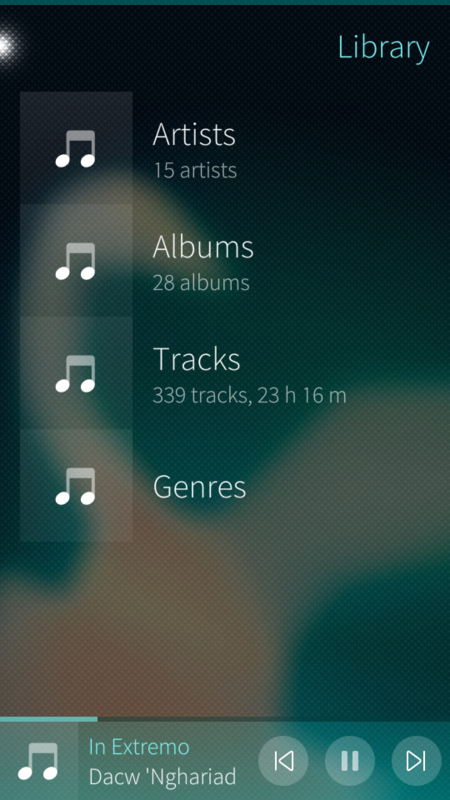 @equeim Totally I have 63 cd albums in flac format, how there is anyway any limit for music quantity? Thanks a lot for help! @carlosgonz Ok, I keep that mind. And yup sometimes something weird happening and only solution is factory reset. @equeim I can't found that file anywhere.. Anyway thanks for that tip, it may help. I already make some research to find out where this location is. I'm just rookie for this kind of procedure so can you help more. @kelmi i have sony xperia x 2.2.1.18 unplayer 1.4.1 everything work good, not crashes too. talking about on your problem of crashing unplayer, looks like you have something bad in your device, check if other app also is crashing. If yes the better way is do a sd backup and do factory reset . I had the same problem 2 month ago many app often was crashing , I tried to fix it looking for the cause but I did not find it and decided to do factory reset and now everything is fine. but each case is different, it is possible that your case is easier to fix. And yes unplayer is a nicer music player now . . .
Hey fantastic to see there is new update for this great player again! New button in application coverpage is good addition, nice! But very unfortunately unplayer is unusable for now, because I can't listen any music, and reason for that is when I everytime selecting update library option, application crashes. I will expand this situation more; So after selecting update library there is spinning animation like should be, but it lasts about three seconds and after that I moved to sailfish multitask view with unplayer crayed, and it will stay in multitask view unless I shut it. Oh and my device is Sony xperia x (f5121) with sailfish 2.2.1.18. I also restarted my device without succes. Anybody else noticed same, or is it me only? Anyways I will reinstall sailfish for my device some day, so will see if that magically fix that crashing. That's strange. Maybe your library database file is corrupted. 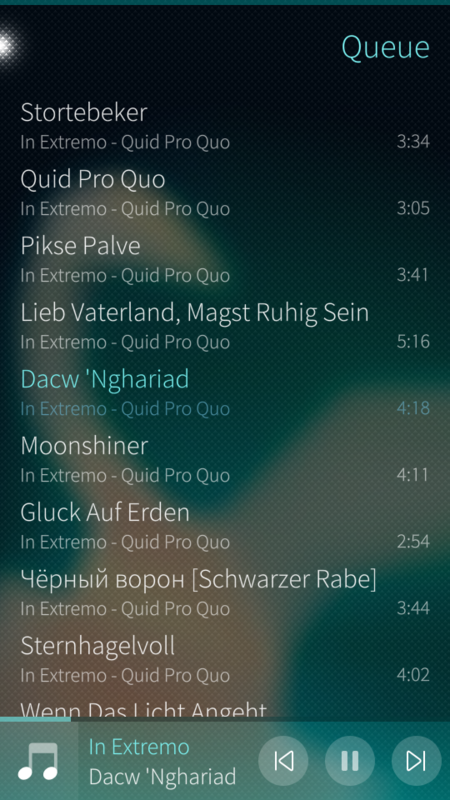 Try to close Unplayer and delete ~/.local/share/harbour-unplayer/harbour-unplayer/library.sqlite file. lockscreen controls is working now . New playlists are not saved. Edit: Fixed with the update in the same moment. So quiet there.. Is there any plans to bring equalizer to unplayer? It would be really awesome to have this feature. I would like to donate for that feature! 10 or more bands in eqaulizer would be great. 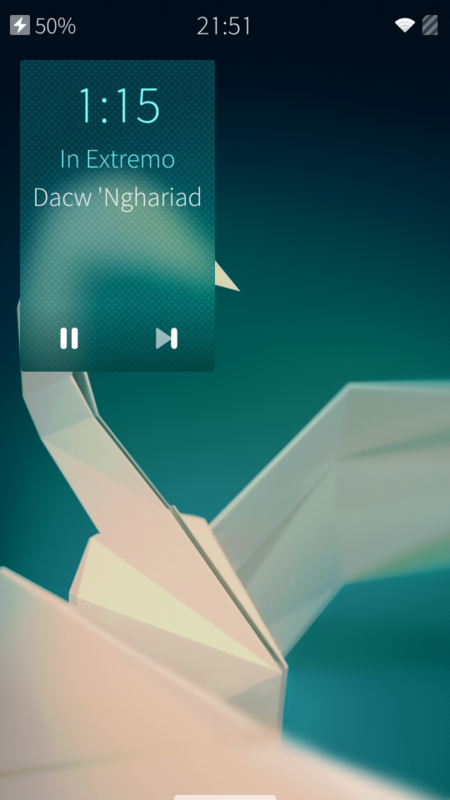 Well when I playing music, I can't see artist name and song name in lock screen, I only see media buttons.. Wait a second I remember that earlier it does shows artist name and song name... Interesting. I also found bug: Sometimes when I playing music playback stops suddenly without reason. That's little bit annoying. Anybody else got same behavior? Thanks for the improvements !!! Is the player controlable via AVRCP? 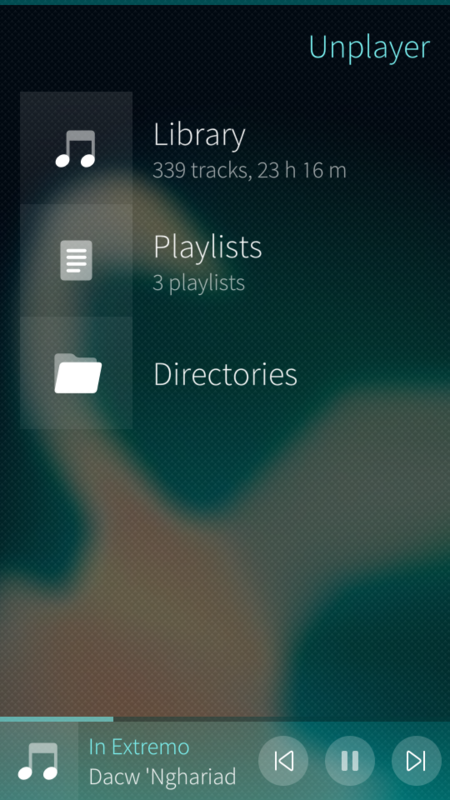 If you mean headset buttons, it should work (in version from OpenRepos, not Jolla Store). Although I haven't tested it on last versions of Sailfish OS, because I don't have any headset with controls. I am having problems with creating playlist through the application. After I type in the playlist name it is not saved. How can I troubleshoot this problem? Where the playlist is supposed to be saved? Also, I have a feature request for future realese: add ability to add all files from a selected folder and its subfolders to queue/playlist. Found the problem. The app stores playlists in the folder "playlists" in ~/Music. There is no check if the folder exists, so I had to create the folder manually. After that I can create new playlists. Is it possible to introduce also listening to podcasts? That's strange, AAC should be supported. Could you send me an example of file? It does play when renamed to .m4a without conversing, but metadata are not found then. Files with .aac extension will be supported in the next version. However, the file you sent me is not an AAC in MP4 container but a raw AAC stream. It is possible to extract tags (like artist or album), since it contains ID3 tags, but not audio properties (like duration or bitrate), because the library I use to extract information from audio files (TagLib) does not support raw AAC. You can convert these files to MP4 using ffmpeg, for example. Though I got some strange errors while converting it (but it actually converted). This file is really weird. Ok, I understand .aac is not a good way to handle songs, but because it can be technically played, it would be better to support the extension. The file was probably produced by a youtube converter, if I remember correctly. When I convert it to M4A with ffmpeg, everything is fine in Unplayer. Thanks for your answers. Hi! Did you find any workaround for the gstreamer/pulseaudio high cpu usage?